For any party or event a hog roast is a fantastic option. However, it really comes into its own for large events. 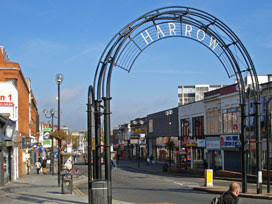 Therefore, it is not surprising that the majority of the hundreds that Hog Roast Harrow has cooked, over the years, have been for weddings and corporate events. However, if you are planning a smaller party, do not worry, because we can still help. To make sure that we cater for all tastes we offer a range of other dishes and meats. The spit roasters we use can just as easily cook a row of chickens as a whole hog that can feed 80 people. All you need to do is to ask for the meat that you like the best. The Hog Roast Harrow team will then check the price with the local butchers they use to give you a proper quote. If you prefer barbecued food, we can provide that too. We also cook finger foods, as well as make salads and desserts. The fact that we offer so much variety makes it really easy to cater for your guest’s tastes and any dietary needs they may have. Our extensive list of menu items is all fairly priced and we only charge for the staff you actually use. So, if you are not holding a formal sit-down event you will not be charged for waiters and front of house staff. We take a flexible approach to ensure that we provide you with the food you really want and do so at a fair price.